Advanced Allergy of North Georgia offers comprehensive care and treatment for people with allergy and asthma conditions. We work with patients of all ages including providing pediatric immunology services. 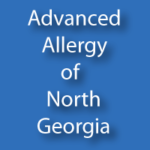 Advanced Allergy of North Georgia is an allergy clinic and asthma clinic owned by Dr. Michael Maloney. Dr. Maloney was the first allergist in Gainesville and has served the area for over 30 years. We’re accepting new patients! Whether you’re an existing patient of Dr. Maloney or need a new allergist, we invite you to visit our Gainesville allergy and asthma clinic. Advanced Allergy of North Georgia offers all of the fine services Dr. Maloney’s patients received at his prior partnership practice. Joining Dr. Maloney from his prior practice are Certified Family Nurse Practitioners Lauren Ingram and Tosha McCannon. Please call 678-971-5005 to schedule an appointment. After normal business hours call our office number, and leave a voice mail message for the on-call provider. Insurance & Cash: We accept cash, personal checks, and most major insurance plans. Credit Cards: Use your debit card, MasterCard, Visa, Discover or American Express. Need allergy care? We can diagnose the causes of your allergies, and develop a custom allergy treatment plan. We invite you to call us with any questions, or to make an appointment. Need asthma care? We can diagnose the severity of your asthma, and develop a custom asthma treatment plan. We invite you to call us with any questions, or to make an appointment. Allergy shots are used to desensitize your body to the particular allergens that cause your allergic reactions. Visit this page to see clinic hours for shots. We invite you to call us with any questions, or to make an appointment for allergy shots. Allergy skin tests help determine the particular allergens that cause you to have an allergic reaction. We invite you to call us with any questions, or to make an appointment. Together we will come up with a goal for your treating your allergies, or your child’s allergies, and discuss creating an allergy treatment plan.